Not Plug and Play | Tennessee Aircraft Services, Inc. Lately, we’ve been performing a higher number of various engine upgrades. There are several reasons for this, but one airframe modification common to these engine upgrades is the installation of the Summit Aviation six-point engine mount STC. 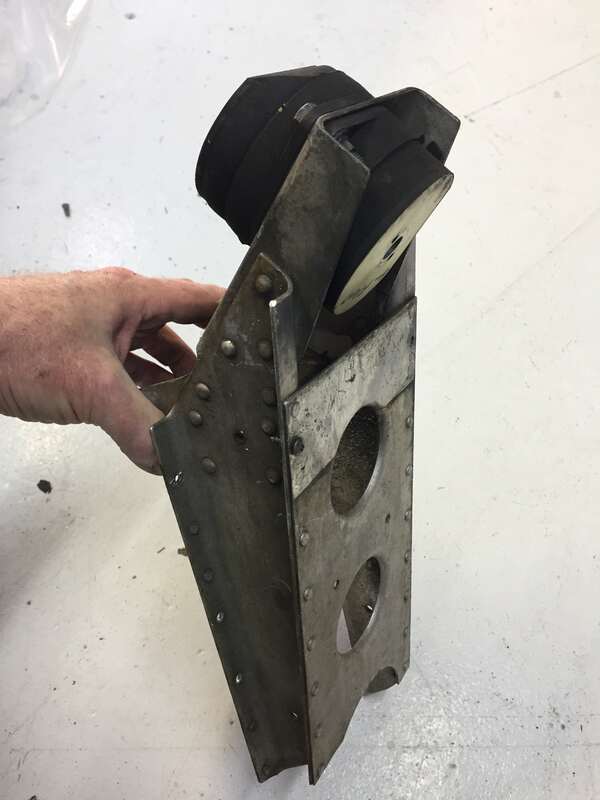 This isn’t a new STC, by any means, but the influx of engine changes has allowed us the opportunity to get very familiar with the details of the engine mount installation. Even with as many of these engine mount changes we’ve performed recently, we find every installation is filled with little detailed challenges. 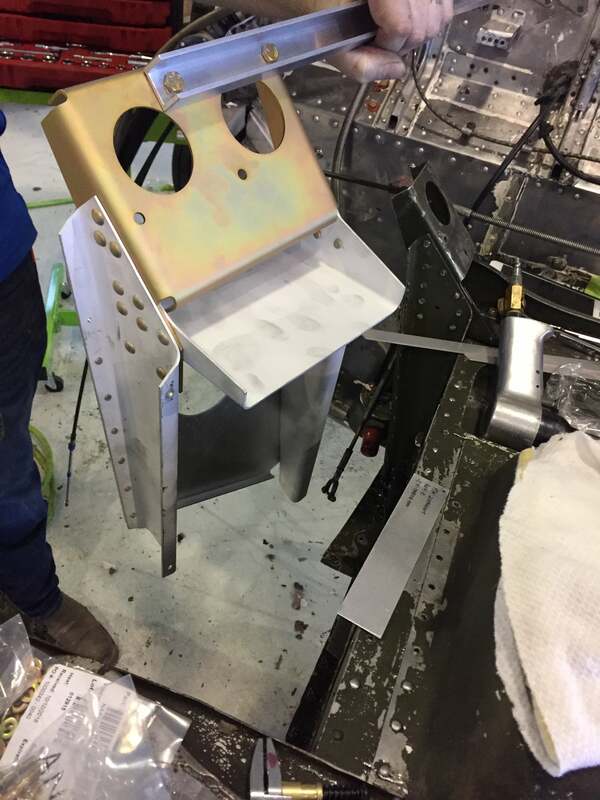 One thing I’ve come to realize over my decades of working on small airplanes is that they are not “cookie cutter” products. Every one of them is unique in many ways, and their age now serves to highlight that fact. With the exception of primary structural attachments, fastener holes were/are often drilled free hand. By that, I mean the factory didn’t use a fixture that precisely set the placement of all those thousands of rivets that hold the plane together. Installing an airframe modification that must mesh with such structural variations is very cumbersome. It is recommended that this installation be performed in conjunction with some other maintenance event that includes engine removal. Choosing to install the mount as a stand-alone event would add another forty plus hours to the job just to lift the engine away for access. It’s not that the mod can’t be done with the engine in place, just that it would be a monumental exercise in anger management. The norm is that most of our installations are on planes changing from a 520 to a 550 tuned induction engine of some sort. I must admit I’ve never experienced flying a specific 520-powered plane immediately before and after installation of the six-point mounts. That would be a much more definitive evaluation of the modification’s effectiveness. However, having accumulated many hundreds of hours flying every version of the 210 series, I can attest to the significant reduction in engine vibration during flight. What I can’t say with certainty is how much of that is due to the new engine mounts and how much is due to the new type of engine. I do have a good amount of flight time in the Cessna TTX, which has a nearly identical engine but only a four-point mount. In comparison, the six-point mount on the 210 is very noticeably smoother. The Cirrus aircraft eventually changed to a six-point mount system as well, which makes a noticeable difference in their vibration. It would seem that in-service experience supports the advertising claims of a smoother ride. One of the most common complaints about the 210 and 206 is the sagging engine. This shows as the propeller spinner not lining up with the cowling. 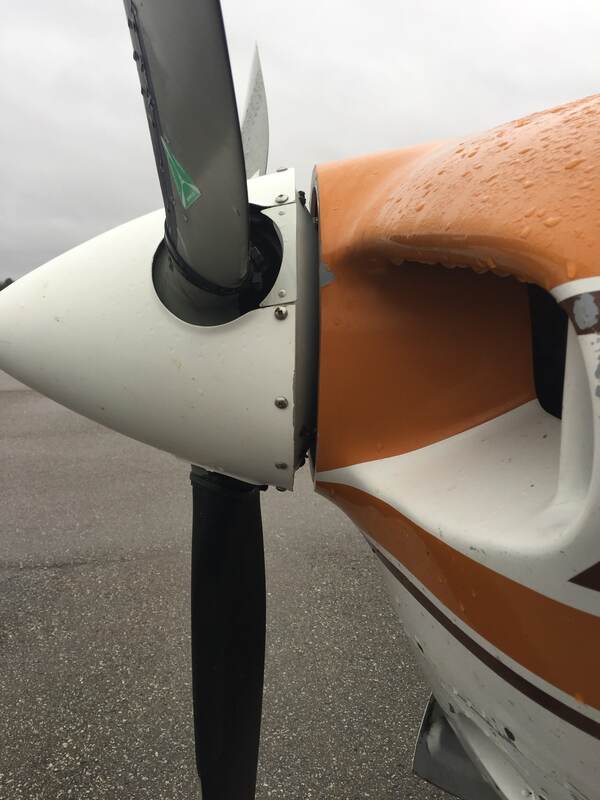 It’s not uncommon to see a spinner as much as ¾ inch below the cowling. Most owners don’t pay much attention until I point it out to them as a contributing factor in their engine’s CHTs running higher than normal. When the engine sags, the baffles on top of the engine may not make proper contact with the cowling, which allows much needed cooling air to bypass the cylinders. One can install new forward mounts or add shims as a temporary solution, but it’ll eventually sag again. 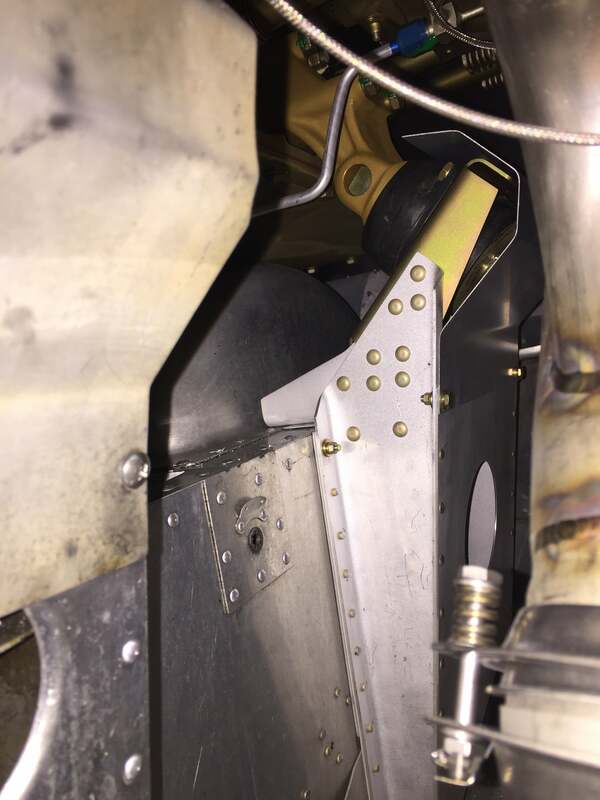 This is a more prevalent issue on the turbocharged and pressurized 200 series Cessnas due to the very close proximity of the forward exhaust system to the forward mounts. All that extra heat accelerates the aging of the rubber mounts and causes them to compress. Air flow inside a Cessna 206/207/210 cowling isn’t necessarily intuitive. It would seem the air flows in at the front and all goes down through the cylinder fins. In actuality, much of the air goes to the back of the baffling and then flows towards the center of the engine and forward toward the spinner. If there’s a large opening between the cowling and the spinner, much of this pressurized cooling air spills out at the front of the cowling. When the six-point mount is installed, the spinner lines up beautifully with the cowling, but there’s still a gap with the original spinner sitting a bit forward of the cowling. 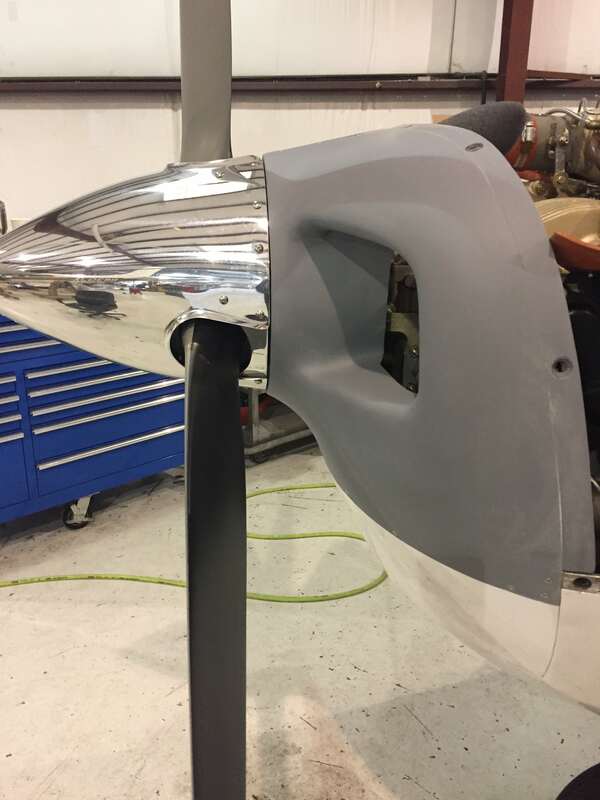 If one happens to install any of the new propeller upgrades at the same time, the new spinner can be adjusted to fit very close to the cowling. I suspect getting the spinner aligned and close to the cowling is a major contributor to improved engine cooling. When looking at the Summit drawings and pictures of the engine mount towers, the installation seems simple and straightforward. After engine removal, the forward engine mount towers are drilled off to make way for the new larger towers. The new “double” mount towers are positioned using a provided alignment bar that bolts on for proper placement. All good so far. The most complicated effort is drilling a few rivets. As soon as the new towers are set in place, the little challenges begin. The first thing noted is that the towers won’t sit flat against the sides of the wheel well. A reinforcement plate on the keel has a tapered flange that is right where the tower must lie. The instructions have minimal details about this other than to reshape the keel flange to allow the tower to lay flat on the wheel well side. This is much easier said than done; every flange is a bit different. Some are already almost flat while others are at 90 degrees. It’s nearly impossible to lay the flange flat with the reinforcement still in place. Eventually, the flange is straightened as much as possible given the situation, and the tower is mounted which will hold the flange the rest of the way. Some of the rivet holes from the original mounts are reused, but many more must be newly created. Some new bolt holes will be created as well. Few of these new fasteners are given specific locations, which is fortunate because it allows discretion by the installer. Some new holes will be very near skin edges or other original holes. The installer is able to adjust somewhat to maintain proper edge distances from these original items. There are a very few new fasteners that are given very specific locations. When installing an STC, one is bound to follow the instructions. At issue is when these specific locations encroach on existing fasteners or edges of existing structure. There’s no perfect answer in these situations. The installer is left to decide if the STC instructions prevail over some industry standard. Generally, the FAA approved STC instructions win. 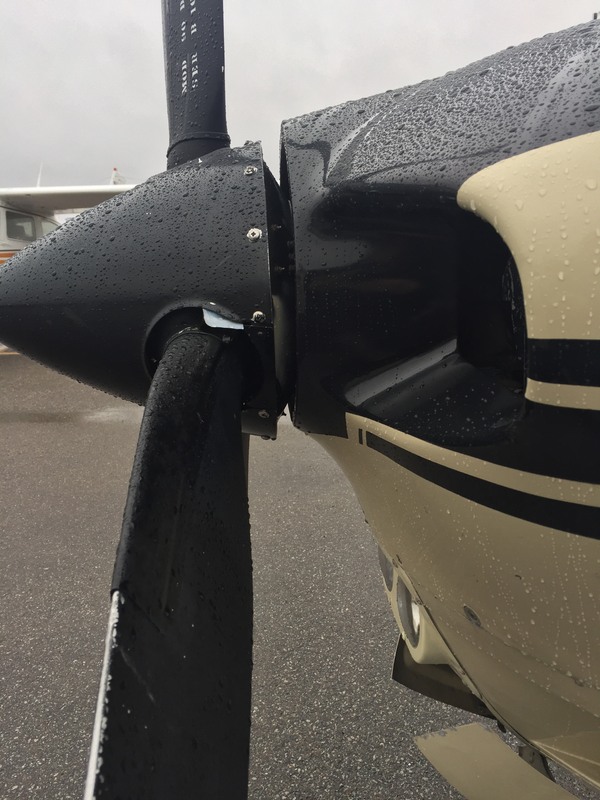 Excluding engine removal and installation, a smooth, uneventful six-point mount installation takes about twenty hours by someone with recent experience. So far, there haven’t been any smooth, uneventful installations, so we plan for twenty-two to twenty-four man hours per installation to keep it real. If your mechanic hasn’t installed one before, the first time labor effort might be as high as twenty-eight man hours. As airframe modifications go, this one isn’t too difficult. It does require attention to detail to get all the fastener holes to fit well with existing structure, so it’s not a good job for an amateur. Definitely, there must be plenty of measuring and checking several times before “cutting” anything. If you’ve decided to install the six-point mounts when your local mechanic pulls the engine for overhaul, just be sure to find out if he/she is at least comfortable with drilling primary structure and riveting. It doesn’t require an expert sheet metal mechanic but does require a sober approach and deep respect for the fact that one misdrilled hole can be a huge problem. Few modifications on our legacy airplanes are as simple and straightforward as they seem at first glance. The variations in production from plane to plane and year to year are more than any STC holder can be expected to account for. For this reason, modification instructions may be vague in some areas and ambiguous in others. It may seem like a lack of quality assurance, but it’s more about understanding the limitations the STC holder had to deal with when developing and certifying the modification.